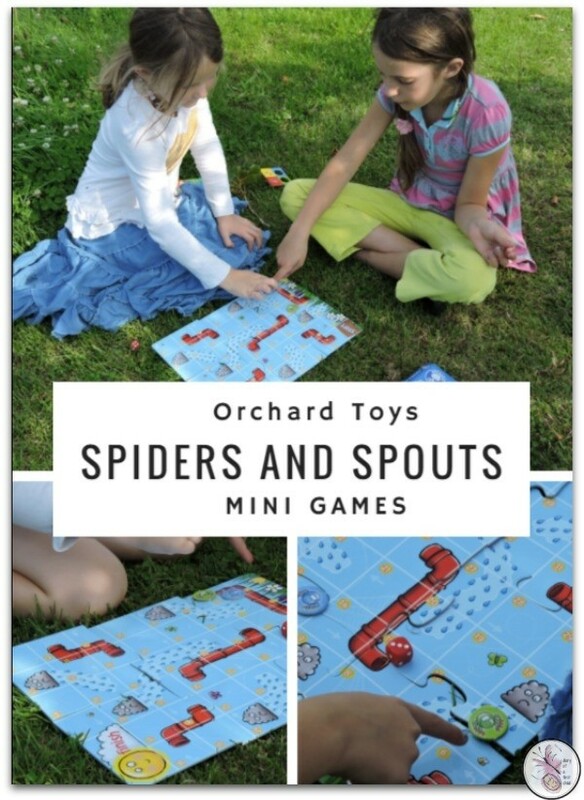 If you’re going off on holiday and need to stock up on some new games for the journey, the Spiders and Spouts mini game set from Orchard Toys is one to add to your travel bag. 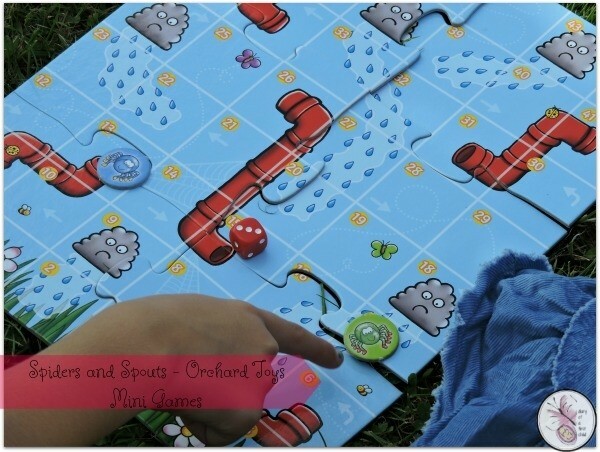 One of a selection of mini games from Orchard Toys – there’s Crocodile Snap, Build a Beetle, Little Bus Lotto, Penguin Pairs and Dinosaur Dominoes, Animal Match, Animal Families, Little Bug Bingo, Llamas in Pyjamas, and more – Spiders and Spouts is a take on the classic Snakes and Ladders, but in travel size. In the box you’ll get a 6-piece jigsaw puzzle that connects up to make the game board. There are four spider counters and a dice. The board is a great size – it fits on a plane tray table, or a train tray table, or if you have an armrest between car seats it just about fits on. 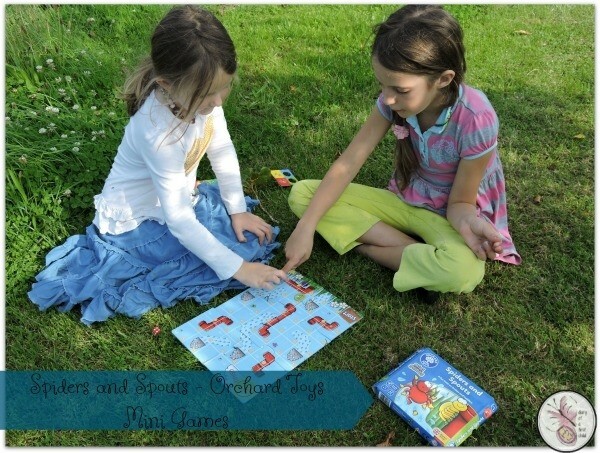 The game is simple and instructions are easy – roll the dice, move forward the set number of space, follow the numbers for direction, go up if you land on the bottom of a pipe, or down if you land on a cloud. It makes for lots of groans and laughter. Well, it’s not bad, so much, just that if you’re travelling, and your kids play like mine do, the dice will be gone after the first round. I’m not sure how that could be improved? Maybe a dice in a cube so you just shake the tube… I don’t know. it’s the only flaw of the game though. 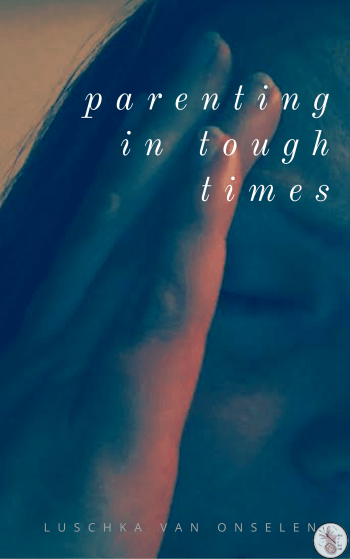 I just want to mention that in the photos the puzzle pieces don’t fit together well – they do, just the kids were playing on the grass and that made for an uneven surface. Orchard Toys Mini Games are available for £4.99 from Orchard Toys website or if you have Amazon Prime you can get the Mini Games at the same price but without the shipping fee.